Premium performance in an ultra-compact package. 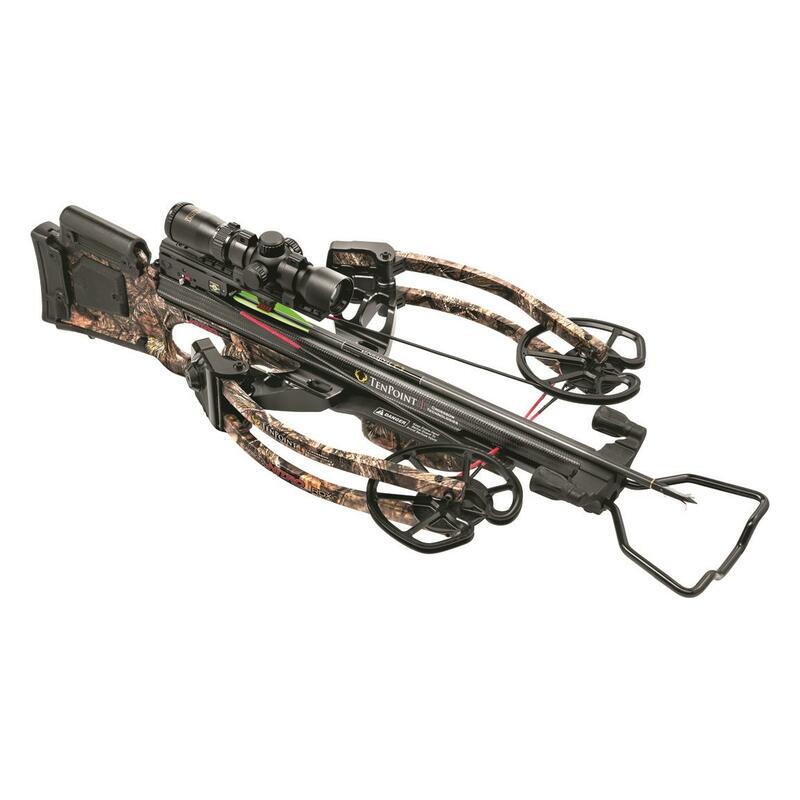 Pull the trigger on the pinnacle of crossbow perfection with the new TenPoint Carbon Nitro RDXTM Crossbow with ACUdraw. Perfectly balanced and precision engineered, the Carbon Nitro RDX delivers bolts up to a blazing 385 F.P.S with devastating 122 ft.-lbs. 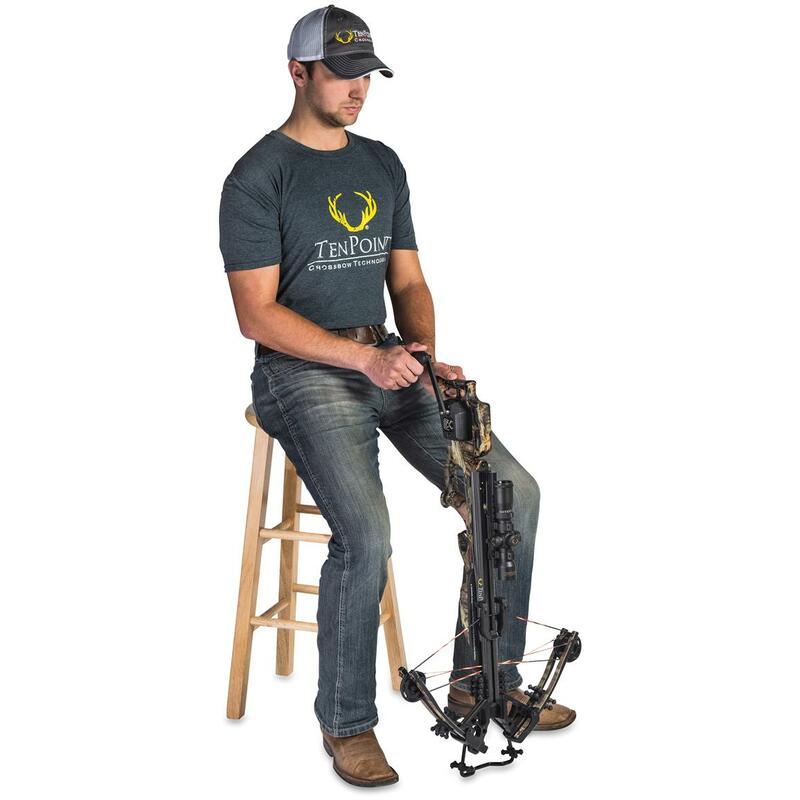 of power, all from a platform that measures a super-compact 10" axle-to-axle when cocked. 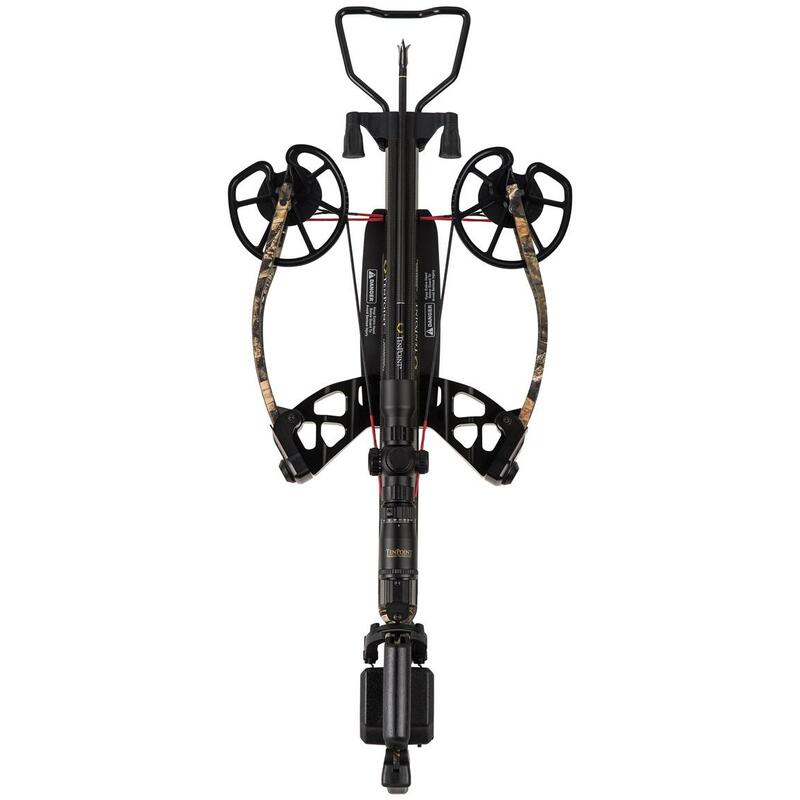 It comes standard with TenPoint's advanced RangeMaster Pro Scope, plus instant detach 3-Arrow Quiver, ambidextrous Side-Mount Quiver Bracket and 3-pack of TenPoint Carbon Elite Arrows. 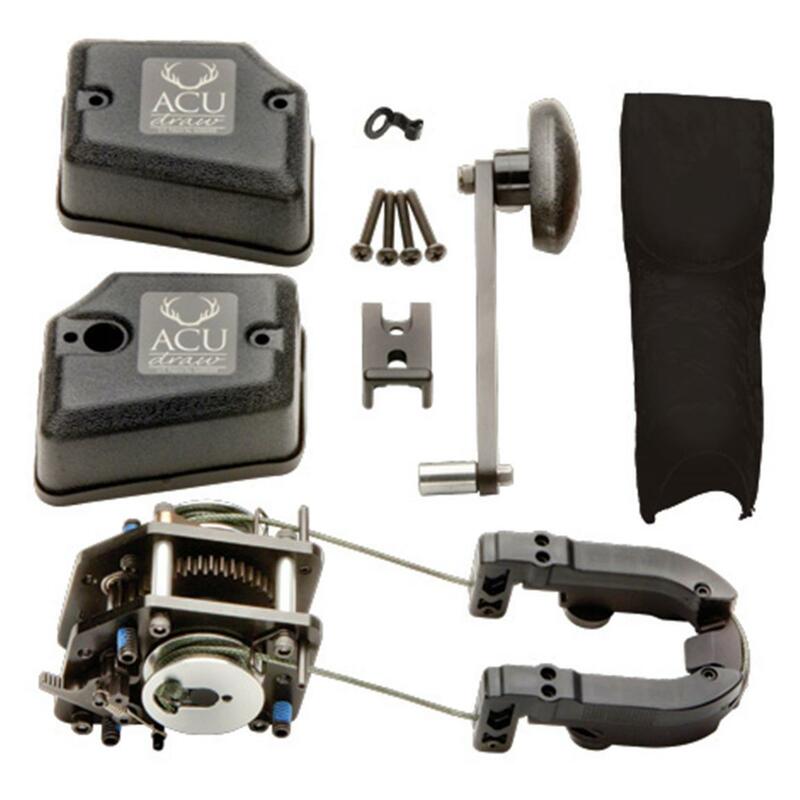 TenPoint's user-friendly ACUdraw cocking system reduces draw weight down to a easy 5-lbs., which allows hunters of all ages and physical abilities to enjoy the great experience of bowhunting. It's as simple as turning a crank, and it's built right into the stock. 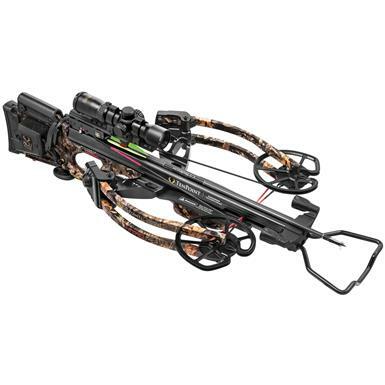 Cocking a crossbow doesn't get any easier than this! Loaded with advanced features, the RangeMaster Pro Scope features a variable speed and arrow drop-compensation setting for crossbows that shoot between 275 and 425 FPS, and requires no adjustment for distance. Three duplex crosshairs and five dots calibrated for 20, 30, 40, 50 and 60 yards (fourth and fifth dots are free standing, just below the 40-yard crosshair) are available with a non-illuminated black dot or one of two rheostatcontrolled, illuminated colored dots (red or green). An etched glass reticle and fully multi-coated 1.5 to 5x optics reduce the loss of light transmission, while a 30mm tube heightens light-gathering and durability. You've tried the rest, now get the best! Order yours today! Velocity: Up to 385 F.P.S. Energy: Up to 125 ft.-lbs. Axle to Axle (cocked/uncocked): 15.5"/10"